This article was originally published in our sister magazine Moneywise. Over the long-term, investing money in the stock market should produce far greater returns than you'll get from even the best savings accounts. But for beginners, the question is: how should I invest? We've put together four different investment scenarios and asked the experts how they would invest the cash. The answers should help beginner investors of any age and any financial background plan for their family's future by offering hints and tips on how and where they should invest their cash. As always, if you are in any doubt, make sure you seek independent financial advice to help you make the right decisions. If you don't have a personal recommendation from friends or family, you can visit Unbiased.co.uk to help find an adviser in your area. Where you should invest depends on why you are investing, over how long and the amount of risk you are willing to take. When investing on a monthly basis, it is best to have a clear understanding of what you are actually saving the money for. If your aim is to build up emergency funds or you're saving for something specific and expect to spend the money within the next three to five years, savings accounts and cash individual savings accounts (ISAs) are probably the best way to go. You should aim to make regular deposits into a cash ISA, where all interest will be paid tax-free. Justin Modray, director of Candid Financial Advice, says the golden rule is the same however much you invest: make sure you don't bite off more risk than you can chew. "If you can invest for five to 10 years or more and sleep soundly through potential downturns along the way, then the stock market is generally a good place to start for long-term investing," he says. “An added potential advantage of monthly investing is that it helps smooth the ups and downs of markets.” For more on this read Should I invest regularly or pay in a lump sum? Mr Modray says beginner investors with £50 a month should opt for a single investment fund and consider switching future contributions into another fund once they have built up a reasonable amount of money. For those who want to adopt a more cautious approach and don't want all of their money going into the stock market, Patrick Connolly, a certified financial planner at Chase de Vere, rates Investec Cautious Managed Fund. This fund spreads risks by investing into other asset classes alongside shares, such as government bonds, gold and cash. Mr Modray says the Vanguard LifeStrategy* range of funds offer a cheap and convenient way of investing your money across global stock markets and fixed-interest investments such as government and corporate bonds. There are five options, ranging from 20% stock market exposure to 100%, so they should suit most needs. The 20%, 60% and 100% equity versions are members of the Moneywise First 50 Funds for beginners. 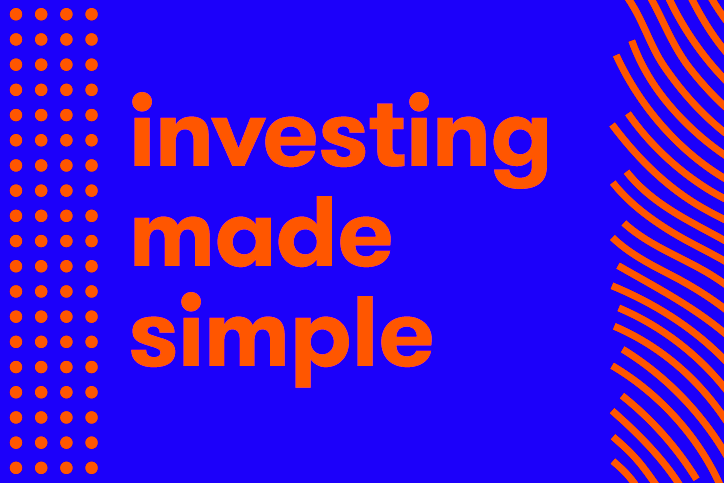 Peter Chadborn, director and adviser at Plan Money, recommends a fund with a cautious objective for someone starting out with just £50 a month: "We require a low-cost, globally diversified, risk-controlled solution and, of course, good consistent past performance. "To meet these criteria, I would suggest the Vanguard LifeStrategy 60% Equity fund*." If you are happy to have all your money in higher-risk company shares, Mr Connolly recommends a "good low-cost UK tracker fund" that will give broad exposure to the UK stock market. He likes the HSBC FTSE All Share Index fund. For those who are happy to take greater risk, then exposure to more volatile areas such as emerging markets can be considered. "These have the potential to perform very well over the long term," adds Mr Connolly. "A good choice is the JPMorgan Emerging Markets (LSE:JMG) fund." Mr Modray says: "Larger sums of money make it practical to put together a basket of funds that gives you exposure to several asset types that are unlikely to all move in the same direction at the same time. It can also make sense to add further diversity by combining cheap stock market tracking funds with active managers who invest quite differently. At the very least, I'd suggest exposure to UK and overseas stock markets, fixed interest and commercial property." Darius McDermott, managing director at Chelsea Financial Services, suggests the following strategy. "For cautious investors -perhaps someone making the transition to investing in other asset classes other than cash for the first time – I would suggest a mix of a more defensive UK equity income fund and a targeted absolute return fund. "An equity income fund is a way of getting exposure to the stock market but at the same time should be less volatile than a growth-orientated fund." Whichever funds you go for, review your fund choices regularly, at least once a year and preferably every six months. In the UK Equity Income sector, Mr McDermott likes the Artemis Income. He says the managers invest for both value and growth and the fund has a consistent yield at around 4.1%. In the Targeted Absolute Return sector, he favours SVS Church House Tenax Absolute Return Strategies, which he says is "one of the few funds in the sector to target an absolute return from diversification and risk management alone". Mr Modray says: "The Vanguard FTSE U.K. All Share tracking fund is a good bedrock for low-cost exposure to the UK stock market. LF Lindsell Train UK Equity and Marlborough Special Situations would nicely complement this. "Both funds also invest in the UK stock market, but very differently from the FTSE All Share index. Mr Train has excellent stock picking track records while Marlborough focuses on medium- and smaller-sized companies. "Likewise, Vanguard FTSE Developed World (LSE:VEVE)* offers very cost-effective tracking exposure to overseas stock markets with Fundsmith Equity* and M&G Global Dividend being good diversifiers. "Fundsmith invests long term in a handful of companies with good prospects, while M&G focuses on companies with rising dividends and tends to have a higher weighting to resources and financials companies, sectors which Fundsmith largely ignores. "I like Royal London Sterling Extra Yield Bond and Jupiter Strategic Bond for fixed-interest exposure. Royal London tends to be the more aggressive of the two funds, so it can work well holding both side by side. "Commercial property funds come in two flavours, those that buy physical property and those that buy property company shares. To help diversify stock market exposure, I prefer physical property and the L&G UK Property fund does a good job of this. It also holds plenty of cash in reserve to meet redemptions during difficult periods." All our experts state that your attitude to risk is one of the most important things to consider before you invest your £10,000. "You must ask yourself: how much risk am I prepared to take? How long am I investing for? What are my investment goals?" says Mr McDermott. For more on this read What is investment risk? He says a medium-risk person looking for capital growth across a minimum 10-year investment horizon could consider weighting their portfolio towards 40% in the UK, 20% in the US, 15% in Europe and 5% each in Asia, Japan and other emerging markets, as well as 10% in so-called absolute return funds. All our experts said that investors should look to tax-efficient investments as a first port of call. That means using your ISA allowance of up to £20,000 for the 2019/20 tax year. Plus if you are prepared to lock the money away until you're at least 55, then you could consider pensions, which give an upfront boost to your investment via income tax relief on contributions. Rebecca O'Keeffe, head of investment at interactive investor, Moneywise's parent company, says that investors can take a look at ii's new Super 60 list for a selection of high-quality funds, investment trusts and ETFs, encapsulating strategies and markets across the active and passive range to generate possible ideas for their portfolio. "In terms of specific fund choices, for those who do not have time to monitor their investments, Terry Smith's global equity fund, Fundsmith Equity*, is a top performer, with an unconstrained mandate, allowing the fund to invest where it wants, when it wants. Fundsmith has been interactive investor's most-bought fund across 2016, 2017 and 2018. The fund has performed very well since it launched in 2010 by investing in a wide range of global investments across different asset classes and sectors. "For investors who are looking for exposure to UK markets then LF Lindsell Train UK Equity and CFP SDL UK Buffettology are both compelling options, with their respective fund managers operating a high-conviction, low turnover approach. "Investors looking further afield could consider emerging markets, though this is a high risk, potentially high return approach. JPM Emerging Markets trust is one of the largest global emerging market trusts and boasts highly competitive returns over three, five and ten years. It invests in a range of emerging markets including China, India, South Africa and Brazil." Source: interactive investor, March 2019. * denotes a Moneywise First 50 Fund for beginner investors. Mr Connolly says a good choice could be Miton Cautious Multi Asset, which spreads risks by investing in shares, fixed interest, gold and property REITs. It tries to get the balance between capital growth and capital protection. "If you've already got an investment portfolio in place and are happy to take greater risks, then good choices could include Liontrust Special Situations, which invests in UK shares, or Rathbone Global Opportunities, which invests in under-the-radar companies with the biggest exposure to US shares," he says. "How and where to invest £50,000 is very dependent on a number of factors – time horizon, attitude to risk and objective – whether that's income, growth or a bit of both," says Sheridan Admans, investment research manager at The Share Centre. Mr Connolly adds: "If you don't have many, or any, other investments, then you shouldn't take too much risk. If you take big risks and your investment falls by 20%, which is entirely possible, then your £50,000 investment will be worth only £40,000," he warns. Mr Connolly believes the best way to spread risk, and so help to protect your money, is to invest in different asset types. "So perhaps put some money in shares, some in fixed interest and some in property. "Then also spread risk within each of these assets by picking different types of investment in different geographical regions. So, for example, with shares you can invest in large and small companies, in different types of businesses and in different parts of the world," he says. Mr Connolly suggests those looking to spread risk by diversifying could consider investing through a multi asset fund such as Miton Cautious Multi Asset, Investec Cautious Managed and Premier Multi-Asset Distribution. Alternatively, Mr McDermott recommends they consider Chelsea Financial Services' balanced growth Easy ISA portfolio. The six funds in which it invests are: AXA Framlington American Growth, AXA Framlington UK Select Opportunities, Janus Henderson Strategic Bond, Janus Henderson UK Absolute Return, Liontrust Special Situations and Threadneedle European Select. However, for those looking for income, he suggests a diversified income stream from a mix of property, strategic bond and equity income funds that use covered call options to enhance the income provided. Sheridan Admans, investment research and fund of funds manager at The Share Centre, suggests investors seeking income and who are prepared for a bit more risk in the hope of generating growth could consider the Finsbury Growth & Income LSE:FGT*, First State Global Listed Infrastructure, Rathbone Ethical Bond* and Miton UK Multi Cap Income. *A member of Moneywise 50 First Funds.